Everything you need to know to use it. Miracast screen mirroring technology boosts collaboration in business and education. Miracast is an essential technology for anyone who wants to share content on one screen to another screen or a projector, such as presentations, videos, apps and photos. Simply, it wirelessly mirrors what’s on the screen of one device onto another screen for easy viewing and access. Proven useful in business, education, and entertainment, Miracast has been around for a very long time, so you can trust it. Best of all it’s a native feature in many of today’s modern devices, and eliminates the need for cables and adapters. And it’s not just a screen-mirroring technology. It can be so much more. Teachers use it to improve student comprehension and engagement. Salespeople, business managers, and many others use this technology every day to do their jobs more effectively. So whether you’re using this technology in the office, classroom or home, here’s everything you need to know about Miracast—What it is, what it does, and how you can use it. Miracast is an essential technology for anyone who wants to wirelessly share content on one screen to another screen or a projector, such as presentations, videos, apps and photos. Simply, it wirelessly mirrors what’s on the screen of one device onto another screen for easy viewing and access. Miracast is also a technology standard that has been ratified by the Wi-Fi Alliance and is native in millions of modern devices worldwide, so you can trust it. Based on the Wi-Fi Direct standard, Miracast sets up a direct connection between a device and the display (peer-to-peer), basically creating its own Wi-Fi network. The device that stores or streams the content (for example, a tablet) communicates directly with the Miracast receiver (for example, a ScreenBeam). Miracast connects wirelessly and mirrors everything from one screen to another. Miracast does not rely on an existing network, and it doesn’t need a wireless access point. This is a huge advantage for commercial and educational environments because it allows heavy video traffic to be moved off the network, saving valuable bandwidth. How Do You Know if You Have a Miracast-enabled Device? Most modern Windows and Android devices are already Miracast friendly. This includes tablets, smartphones, PCs, and laptops. Microsoft includes Miracast on devices that come with Windows 10. Miracast Android devices include those that are 4.2 and later. Older Windows devices can use an adapter or download software to use Miracast as well. Some streaming devices, such as Roku and Amazon Fire TV, also use Miracast wireless display technology. To use Miracast, the first thing you’ll need is a Miracast-enabled device. See our wireless receivers and adapters below. Miracast empowers today’s modern devices to easily connect wirelessly to displays and projectors. 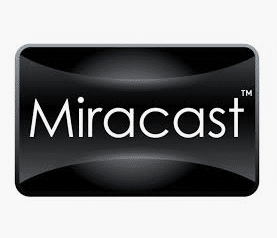 Miracast’s wireless display technology spares users the hassle of hunting down the right cable, connector, or input by eliminating the need for cords and cables. 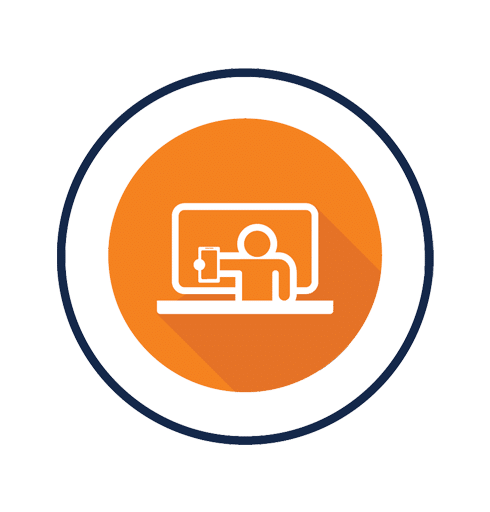 Teachers and presenters can now be untethered from their main display, providing freedom of movement, and ultimately creating a highly collaborative environment. Say goodbye to awful video presentations and meeting delays at work, and say hello to faster flowing data with no latency. Miracast is great to use in the classroom, at the workplace, or even the comfort of your own home. Chromecast is another tool that cuts the HDMI cord to wirelessly couple mobile and television. It’s popular with consumers for its ability to wirelessly stream multimedia content (HBO, YouTube, Netflix, etc.) to a HDTV through a mobile device. However, unlike Miracast, Chromecast is not a screen mirroring tool. It is a dongle that plugs into your TV’s HDMI port, and uses Wi-Fi to access the Internet. Chromecast is a great tool for casting content from a subscription service, but is very limited for enterprise deployments. 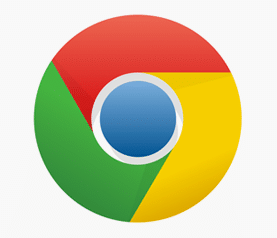 For example, Chromecast does not support WPA2 which is widely used by schools and businesses to authenticate devices for security reasons. Also, Chromecast doesn’t provide remote management of receivers, which creates an impossible situation when IT is responsible for managing hundreds of devices across campuses or meeting rooms. 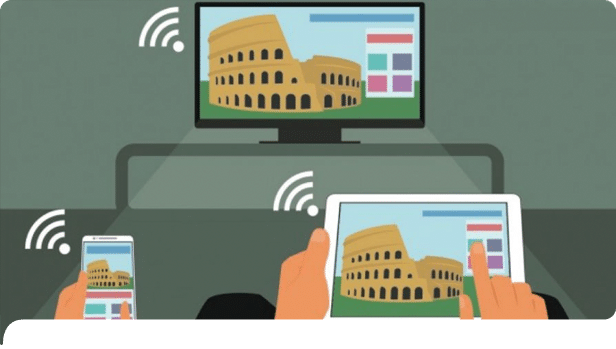 While Chromecast may be a great option for wireless streaming, for an office environment, the advantages of Miracast is native in Windows, and no Wi-Fi is required which means there would be no hit on the company’s wireless network. 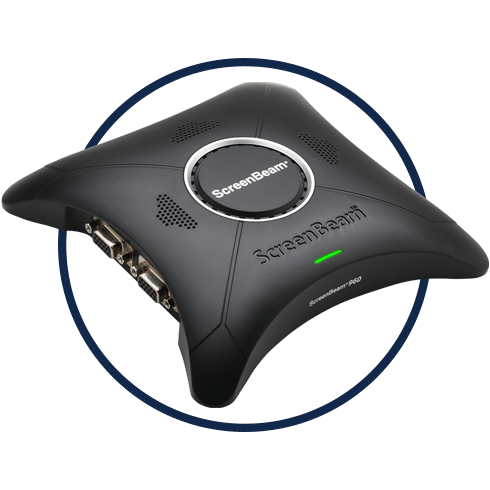 ScreenBeam receivers streamlines the process of connecting PCs, tablets, and mobile devices to classroom and conference room displays. As Microsoft’s co-engineering partner for wireless display, ScreenBeam technology is native in Windows 10 and 8.1 devices. 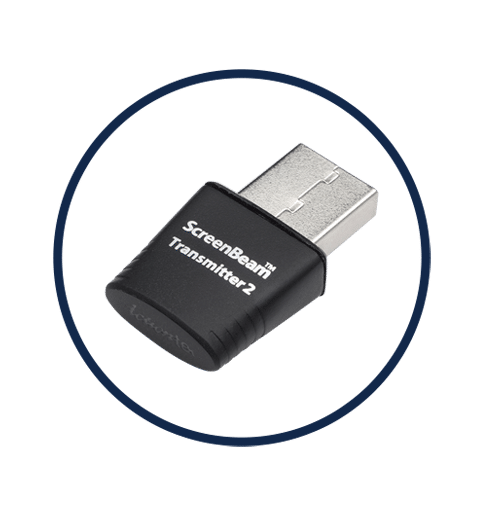 With professional functionalities such as touchscreen support, remote receiver management, security protections, and no Wi-Fi requirement making for faster data flow, ScreenBeam Miracast-enabled receivers are the best choice for your school or business. 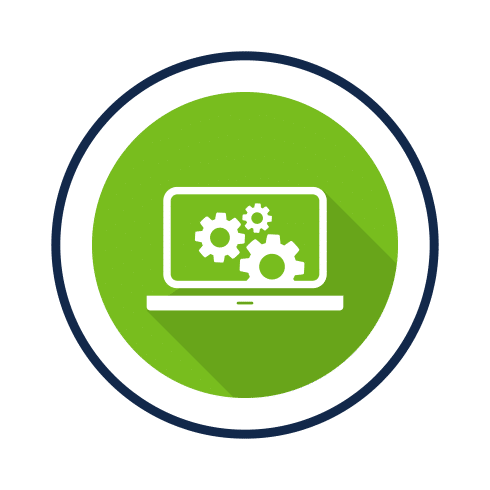 Interactive touch support, value-added services for medium to large deployments. Enables wireless display from Windows devices that lack Miracast™. Remotely manage receivers at scale. Included with ScreenBeam 750 and 960. 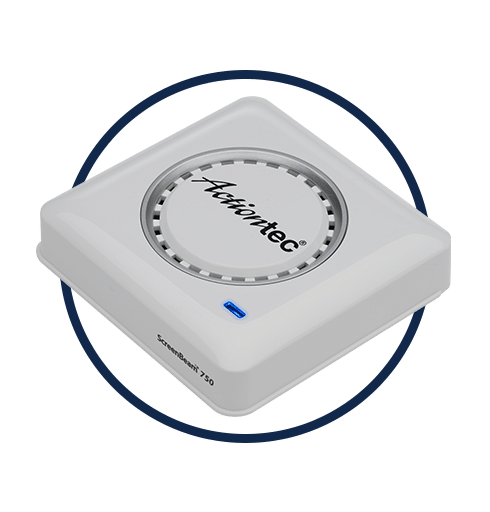 Reliable, secure wireless connectivity for small to medium deployments. 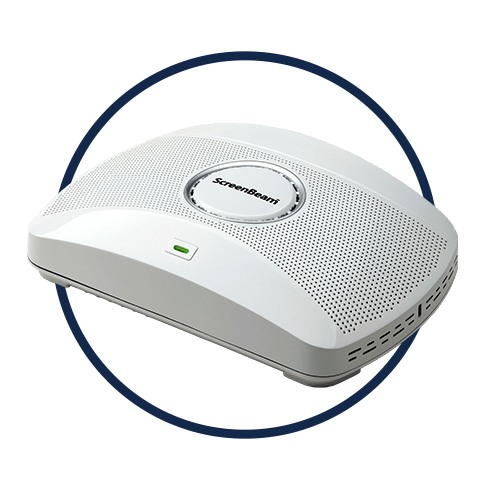 Wireless connectivity with premium classroom orchestration.